Visit to Republic of Mari El National Museum. Putin.BLOG Regions Visit to Republic of Mari El National Museum. Vladimir Putin visited the Republic of Mari El Timofei Yevseyev National Museum. 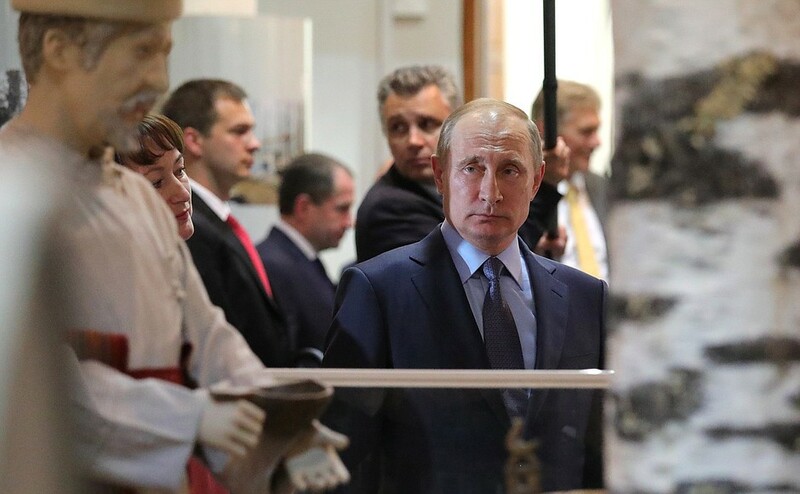 Vladimir Putin visiting the Republic of Mari El Timofei Yevseyev National Museum. 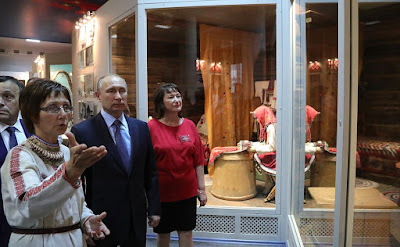 The President took in the exhibition on the customs and beliefs of the Mari people – one of the few peoples in Europe to have preserved paganism as their traditional religion. The Timofei Yevseyev National Museum is the republic’s oldest museum and is a leading research, methodological and information center with a unique collection. It was named after ethnographer, folklore historian and lecturer Timofei Yevseyev. Today, its collection has more than 230,000 items. 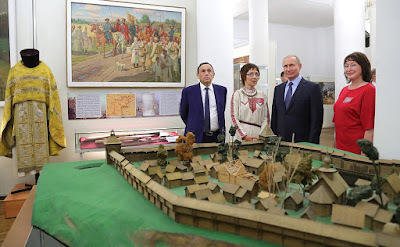 President Putin visited the Republic of Mari El Timofei Yevseyev National Museum. Vladimir Putin in Timofei Yevseyev National Museum. 0 Comment to "Visit to Republic of Mari El National Museum."